Click below to view our Frequently Asked Questions about Retirement Living at Resthaven. Contact our Retirement Living Coordinator on (08) 8370 3756, or email retirement@resthaven.asn.au. Eligibility for retirement unit or apartment requires the applicant to be aged 60 years or older, independent, and undergo a medical assessment. How much does a unit cost? Except for the rental units, Resthaven retirement units are acquired on a ‘Licence to Occupy’ basis, with market values set by an independent, qualified property valuer every 12 months. 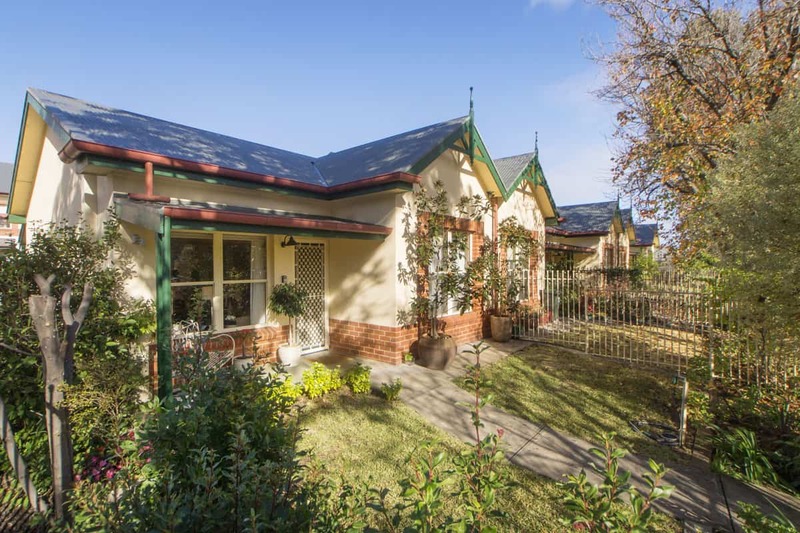 Resthaven’s retirement units are regulated by South Australian law, via the Retirement Villages Act 2016 and the Retirement Villages Regulations 2017. You are required to pay a fortnightly maintenance fee, payable in advance. This fee covers council rates, gardening, sewer and water rates (within limitations), administration expenses, repairs and maintenance of buildings and plant. No, unfortunately you cannot bring your pets. Do the units have a garden and carpark? All units have a car park and most have a small garden area. Can I visit a unit before my purchase? The Retirement Living Coordinator conducts regular tours of Resthaven’s retirement living accommodation, and is always happy to help with any questions you may have. Or call the Retirement Living Coordinator on (08) 8370 3756, email retirement@resthaven.asn.au. No. As your agreement is Licence to Occupy, this means you do not own the ‘bricks and mortar’ of the property. Any maintenance or upgrades must be requested through the maintenance manager. Yes, you will be responsible for your own personal contents and public liability insurance. What bills do I pay? You are responsible for your own utility accounts, including electricity, gas, telephone, internet and emergency call bell if required. Can I bring my boat and caravan? No. There is no provision for boats or caravans. Yes, you are encouraged to maintain your lifestyle after moving into a retirement unit. If you intend to be away for an extended period, please let reception know of the dates you will be away. Maintenance fees continue to be charged while you are away. What if I need some help at home? Resthaven Community Services offers home care services to those living in retirement living for when they need some extra help. You may access our in-home support services for an affordable fee. 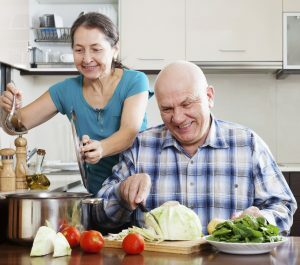 This may include support with household tasks, personal care, shopping, meal preparation, and other support as negotiated. Click here for more information about in-home support and care. For government funded home care, contact Resthaven Community Services on 1300 13 66 33. Don’t want to wait for assessment? Call Resthaven Community Services on 1300 13 66 33 and ask us about our full fee Affordable Private Service, ‘Lifestyle Choices Plus’, or click here for more information. Yes. To determine your eligibility, contact Resthaven Community Services on 1300 13 66 33. Retirement living residents who have a current ACAT assessment for residential respite may be able to access a period of respite at one of our residential care homes. What if I need residential care? All retirement living residents have priority placement into Resthaven residential services when their circumstances change. 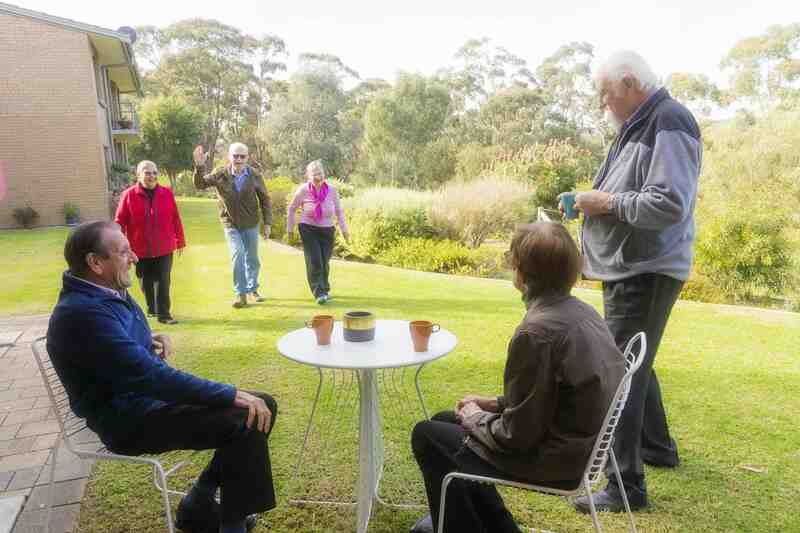 Are Retirement Villages only for young retirees? Approximately 8% of the South Australian population make a deliberate decision to downsize to a communal or village setting. People of all ages are attracted to retirement living. The great majority choose to move from age 60 years onward. A number of individuals choose this option in their 70s and 80s. They are all active and positive contributors to their community and activities of life, responsible for their own shopping, household tasks such as laundry, cleaning and meals. They are not restricted in what they choose to do each day. Do I have to wait until something is wrong with me before moving in? Moving into retirement living when you’re fit and healthy, means you can fully enjoy the community and lifestyle. You can associate with others as little, or as much as you please, it’s up to you. Many people comment that they should have moved earlier. You won’t need to worry about the responsibilities of ongoing home maintenance, security concerns, or the cost and effort of taking care of a large home. There is also peace of mind, knowing that in-home care and support can be provided if required, and access to community services and wellness groups. Does a retirement village cost a lot? 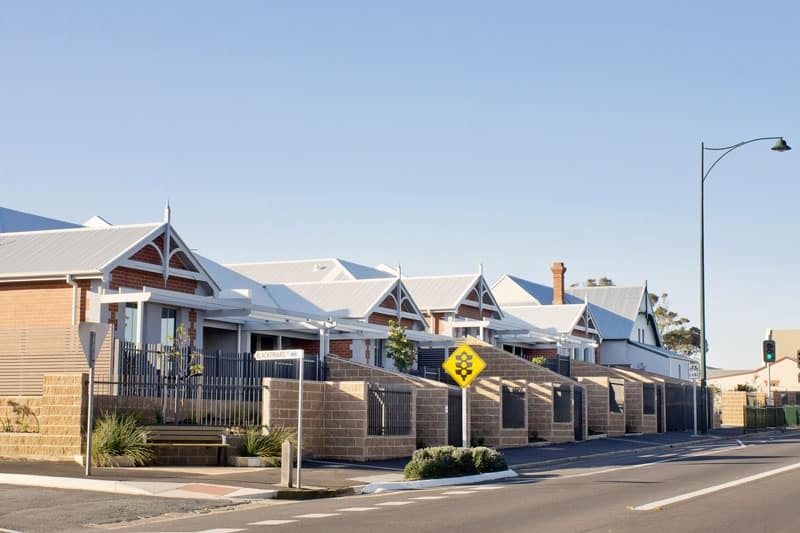 Retirement villages comprise both not-for-profit and privately owned groups. Both offer good quality options. As in any market environment, people need to research their options carefully and understand what a village offers, accommodation prices, the refund value given on departure and how this is calculated, what extra costs may be identified after vacating the village, maintenance fees, what services are included and what additional services may cost. Retirement living residents are covered by protections under the Retirement Villages Act; Resthaven recommends people ensure a village is covered under this Act and understand the terms of their agreement with their provider. Will I be limited or restricted in what I'm allowed to do? Retirement living means living independently in a village-like atmosphere. Our retirement villages are diverse in size; from small clusters of units, to large groups of units with community facilities nearby. Some offer residential aged care co-located on site. As with any shared setting (such as community or strata title apartment settings) there are rules to consider prior to deciding to move. Downsizing from a family home can be difficult at first, but many find it liberating, and financially advantageous. Retirement villages take care of gardens and maintenance, allowing more time for enjoyable activities, peace of mind, security, social interaction and a community of like-minded people. Is a retirement village like an aged care home? Retirement living is not to be confused with a residential aged care home (formerly known as a nursing home), which caters for people needing high levels of care and support in a 24 hour staffed environment. An assessment through My Aged Care is required to be eligible for this level of care. All Resthaven Independent Living options are co-located on site with a residential aged care home, making a transition easier if needed in the future for yourself or a partner. 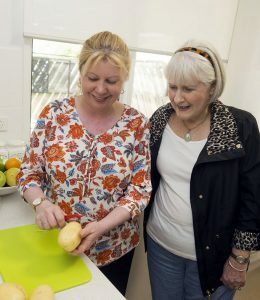 Should additional support be needed in a retirement village, home support services can be accessed that maximise independence and quality of life. Support may include personal care, cooking, cleaning and medication management. How did you hear about Resthaven?